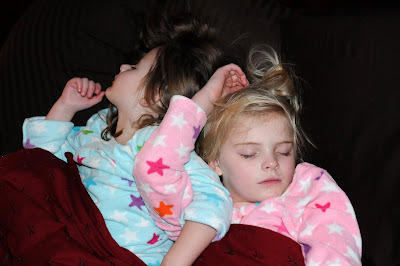 I love when our little girls "nuggle" and fall asleep together. Even though they weren't supposed to be in our bed. Could they be any cuter? 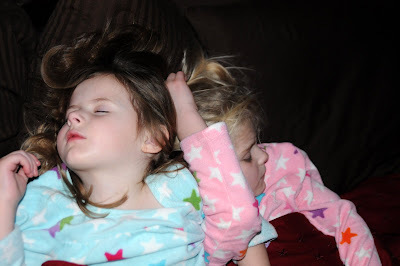 Totally cute...especially how their arms are locked in their sleep! I have many similar memories/photos with my sisters when we were growing up.